Two exciting callouts for filmmakers in WA, as part of the Revelation Perth International Film Festival. 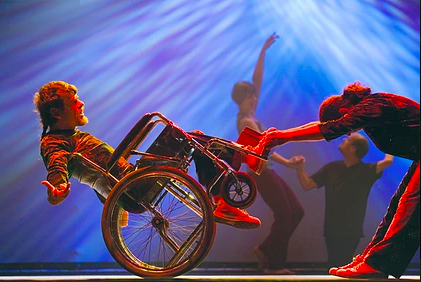 YOUR PLATFORM applications are now open to artists living with a disability for a supported presentation opportunity at Northcote Town Hall Arts Centre during the 2019 Melbourne Fringe Festival, 2019 Darebin Arts Speakeasy Program, Victoria. Submissions are now open for The DanceAbility Teacher Certification Course in Hong Kong, running from 22 July to 16 August. Campbelltown Art Centre in NSW is currently seeking expressions of interest from emerging artists with disability interested in becoming part of their Little Orange studio. Sign up for free membership to Arts Access Australia and receive access to the latest arts and disability news, resources and opportunities.